Relax and enjoy panoramic views over the Lindau rooftops in the Wellness & Spa area at the Hotel Helvetia. 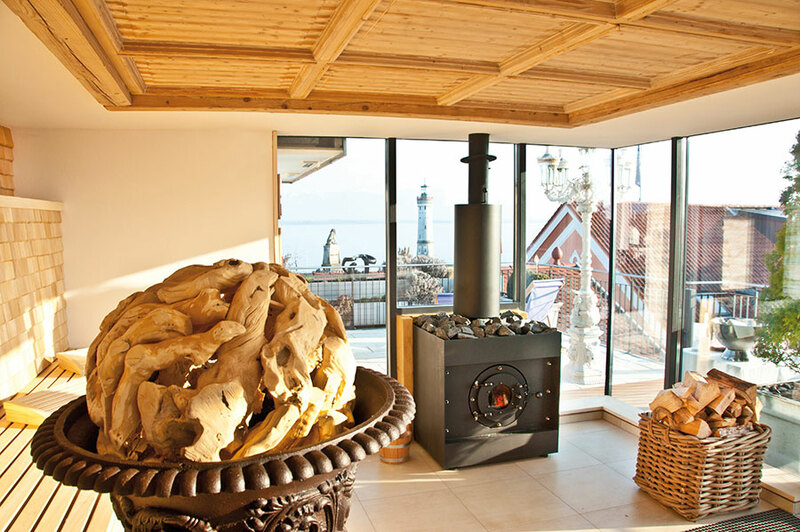 The Swiss pine sauna with its wood-fired stove on the 6th floor invites guests to enjoy a memorable sauna experience, particularly in the evenings. When the weather is fine, they are treated to wonderful views of the sun setting over the lake. The rooftop Infinity Pool is another highlight of the hotel. This new area features warm, cascading waters for a memorable bathing experience. Alongside these unique rooftop experiences you can also relax in a Balinese steam bath, a Japanese onsen spring or try the benefits of colour light therapy. The Beauty Lounge will spoil you with facials, manicures, special treatments and massages. The Beauty Lounge uses only Clarins products. 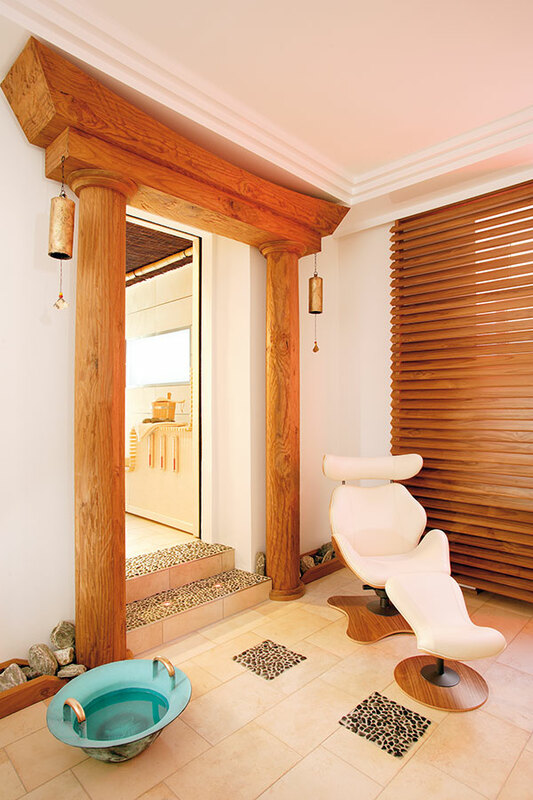 Expert therapists look after you in the light and airy treatment rooms. Please book your treatment in advance.